I started selling on Amazon like most people do. I would go to stores and immediately hit the clearance racks. I’d scan everything in the clearance section and usually find a few things that were profitable. I would go store-to-store like this. After 8-10 hours I would take my haul back home and begin the arduous process of listing and shipping. After three of months of spending every Saturday, Sunday, and some nights during the week after I got off work doing this I remember thinking, “This is ridiculously inefficient. There has to be a better way!” However, I was in the middle of Q4 and I felt like I was printing money. So, I just stuck it out. I started with $500 in September 2014 and the payout I received after Christmas was a little over $7000. The hustle is real and it wore me down. I did not even send a shipment from December 15, 2014 until February 14, 2015. I was so burnt out and determined to make this Amazon thing easier since I did not want to leave my job. In the middle of January I started doing online arbitrage and that was game changer. 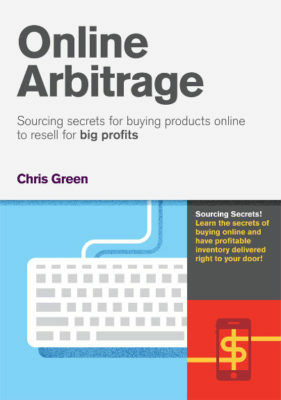 I skimmed through Chris Green’s “Online Arbitrage” downloaded the Chrome extensions and got to work. After a week my house was covered in boxes from Amazon, Walmart, Sears, and Kohls. I’m pretty sure my wife contemplated kicking me out. Business was going well but I just could not stop thinking about how inefficient and unpredictable the process is. You cannot predict your inventory or profit. Don’t get me wrong, you can make good money but I wanted a more established process and efficient operation. How many times have you bought something and thought “I wish I had 30 more of these” or “I wish I could find some more”? I would venture to say we all think that 5-6 times a week when we’re doing retail or online arbitrage. Instead of wishing I could find more, I was determined to find more. I figured the easiest way to do that is by buying straight from the manufacturer. So, I picked out one of my favorite brands to sell…Lego. I wish I would have recorded the phone conversation because in hindsight it was probably one of the more embarrassing moments in my FBA adventure. I was even more embarrassing than that one time I bought 75 boxes of tampons at a busy Walmart and the cashier decided it’d be a good idea to hold everyone up by calling the store manager to come examine my 75 boxes of tampons. Why was this call so embarrassing? I was incredibly unprepared. I did no research and I felt like the person was speaking in another language. The lady asked for my retail license number, projected revenues, growth plans, value added resources. I was thinking, “What the heck? I just want to purchase $5000 worth of Legos at 100% ROI!” I was in sales for a number of years. So, I like to consider myself a smooth-talker but there’s no way I was going to turn this conversation around. I politely ended the conversation after she told me they require minimum annual purchases of $300,000. After a few more phone calls that went about the same way, I decided that I was in over my head. I had absolutely no idea what I was doing. I needed to figure out the basics before I ruined my chances of landing any accounts. 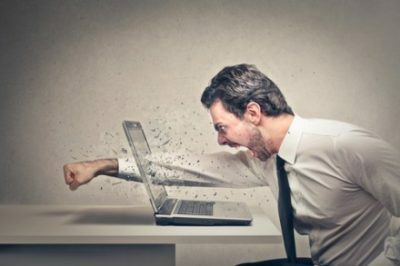 My goal for this blog series is to help you avoid the embarrassment that I went through. I want you to know how to answer every question a manufacturer is going to ask. By the end of this series you’re going to feel confident and prepared. I am going to help you set up all the basics and walk you through strategies to find companies that will be a good fit for your business. The best part of all this is I’m going to do it for free. I paid a pretty penny for my coaching and I’m glad I did. But I’m feeling generous this year. I want to help you change and grow your business! So, here’s your homework assignment for Week #1: obtain your retail/reseller license. This will vary by state. In South Carolina it costs $50 and they are the same. Your state may be different so do the proper research and if you have any problems shoot me a message on Facebook. This entry was posted in Fulfillment by Amazon (FBA), Wholesale and tagged Beginner, FBA, Fulfillment by Amazon, Wholesale. Bookmark the permalink.